Everyone has a story to tell; each one of us writes poetry – some, without even realising. That stream of consciousness that runs in our veins? It’s poetry waiting to be written. We believe in the power of words, and that power is what urged us set up PoetsIN. It’s because of those inner streams, that we are bringing you all a regular interview feature, Writer Profiles. An interview with a writer. 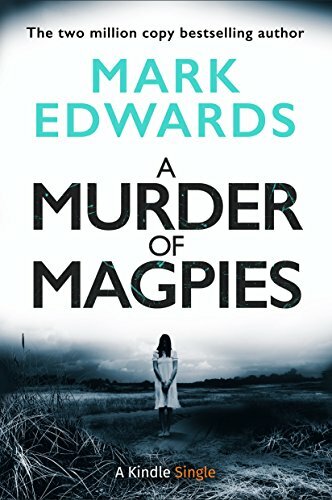 This week we’re extremely pleased to be bringing you an interview with a favourite author of ours, number 1 bestseller, Mark Edwards. 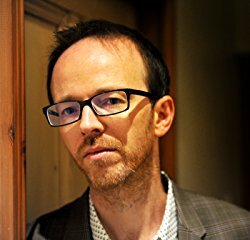 Mark writes psychological thrillers in which “scary things happen to ordinary people” and we couldn’t recommend his books enough. Let’s meet him. What is your relationship with words and how has that evolved? I was lucky enough to find it very easy to learn to read and I spent a lot of my childhood with my nose in a book or comic. I wasn’t happy just consuming, though, and I started writing short stories and comic strips when I was at primary school (at one point I had a team of kids drawing comics for me, although I was a pretty fussy editor and ended up doing most of it myself!). I learned most of vocabulary from books which meant that I didn’t know how to pronounce a lot of the words I knew. I’m far more eloquent and articulate on paper than I am verbally – although I’ve learned how to pronounce most of those tricky words now! Can you remember the catalyst for you beginning to write? If so, what was it? As above, I wanted to emulate the stuff I enjoyed reading. First, it was comics, then Stephen King and James Herbert (I wrote a lot of horror stories in my teens). I didn’t try to write a novel, though, until I left university. I was reading a lot of literary fiction by then and I’m sure most of the stuff I wrote was pretentious nonsense. It took a few years before I started to write more commercial stuff and concentrated on psychological thrillers. I am not really one for self-analysis, although looking back it’s clear to me that there are recurring themes in my books which, I guess, are my way of trying to process or deal with pain. For example, my best friend died when we were nineteen and my books are full of dying best friends. In fact, if you’re friends with my protagonist you’re pretty doomed! There’s also quite a lot of stuff about father-son relationships, which reflects my own difficult relationship with my dad. It’s one of those horribly awkward situations that we never discuss so writing is a way of me dealing with it. You’re in an enviable position to have sold millions of copies of your books, and good for you. What did you do before and how does it feel to give up working for ‘the man’ and write for a living? I had a couple of awful customer service jobs in my twenties – including manning the complaint line for a rail company – and I then went into marketing in my thirties. I enjoyed that and was good at it because it required a lot of creativity, but it’s wonderful to not have a boss. I used to spend half my life in meetings. Now the closest I have to a meeting is a chat with my dog about where we should go for her midday walk. It’s blissful. Speaking of your books, you’ve just released the follow up to The Magpies. For those not familiar with your work, tell us about the first one and what’s in store in the follow up? A Murder Of Magpies. Click To Buy! I write my best stuff when in a rage, heartbroken or fighting depression. Are you affected in similar ways? Heartbreak and rage are definitely powerful motivators, although I find I write best if I am calm and not distracted. I am generally motivated by a will to improve, to write better books and keep up with the competition. If I read a really great novel if makes me raise my game. So perhaps envy is my most powerful motivator.We all have moments where we truly connect with words we read. Heartbreak and rage are definitely powerful motivators, although I find I write best if I am calm and not distracted. Describe your writing process and how you approach each book. I’ve written fourteen novels now – actually it’s a lot more if you include the early, unpublished books – but every time I start a new book I feel like I have to learn how to do it all over again! I don’t plan. I start out with a central concept and a set-up, but I never know how it’s going to end. I enjoy finding out as I go along. If you had to be remembered for only one of your books, which would you choose? The Retreat, which is my next novel – out in May. 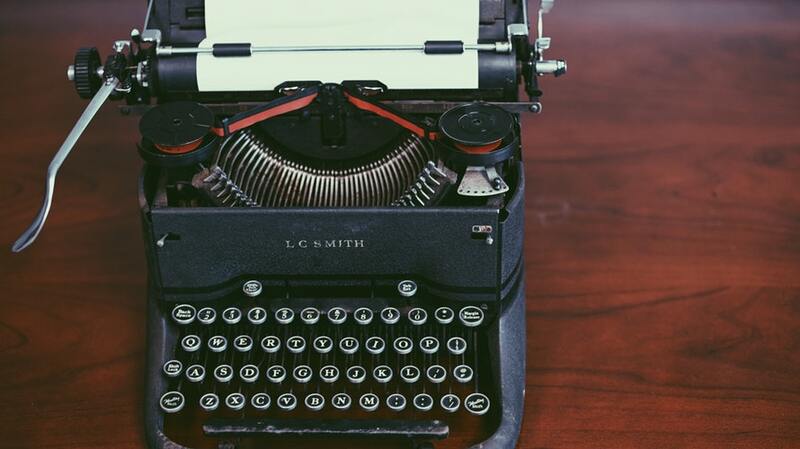 Writer’s block, real or a myth? I think it’s possible to get stuck. There are days when the words simply won’t come which is incredibly frustrating and makes the inside of my head itch. But I’m lucky because I always manage to break through the block quite quickly. Your books take the reader to some deliciously dark places, which surely means you have to go there yourself to write them. Is that cathartic, and if so, do you think writing away the darkness may just be the secret to maintaining good mental health in everyday life? I get asked this a lot but I don’t think I am a dark person at all. I’m actually quite sanguine, but have a dark imagination and enjoy that kind of art: horror movies and suspense. 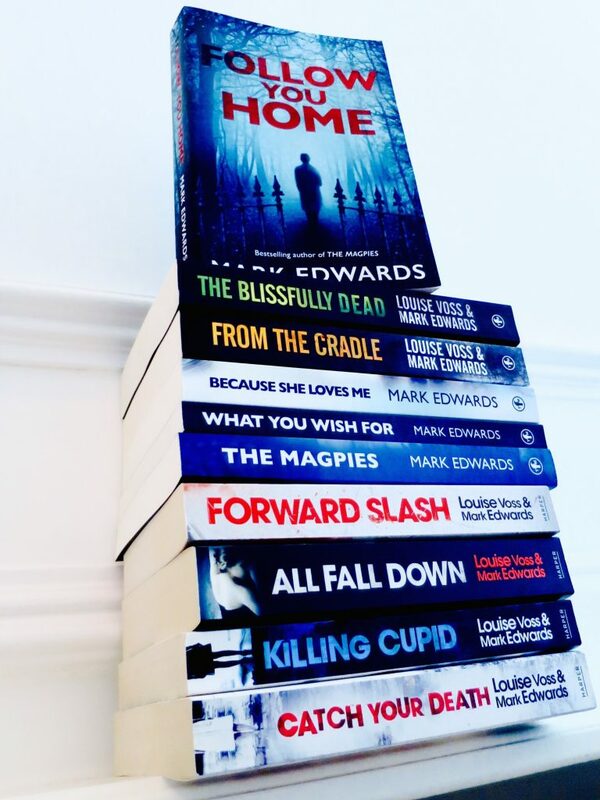 There have been rare occasions when what I’m writing makes me feel disturbed – like parts of Follow You Home – but I’m usually grinning to myself as I write the really scary passages! It’s fun. I like dreaming up ways of scaring people.